Throughout the world people are building 'another world' - one that seeks to be in harmony with each other and with the earth. The social solidarity economy is a movement and a framework that connects these ways of living, working, playing, creating and dreaming in order to fundamentally transform our social and economic world. 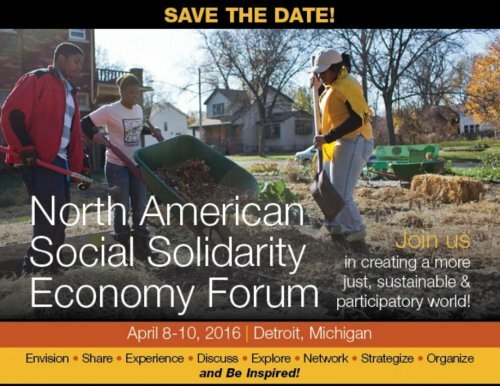 Come learn, share, debate, perform, live and experience the social solidarity economy. Eventbrite Registration and Workshop Submissions are now open. We look forward to hearing from you. If possible, we ask that you go through Eventbrite. However, if you prefer to download a hardcopy of these forms, please visit the Registration and Workshop Submission webpage.